At the turn of the year, it is a media tradition to look back at the achievements and successes of the past year and draw up targets for the new year. I gladly take up this tradition in my blog. Our Cloud “cosmos” plays an important part in my New Year’s thoughts. I will link the achievements with the necessities of a future that has already begun, and take the view of a market participant like Fabasoft, but also the political perspective of our large European economy. 2015 was a very successful year for Fabasoft. 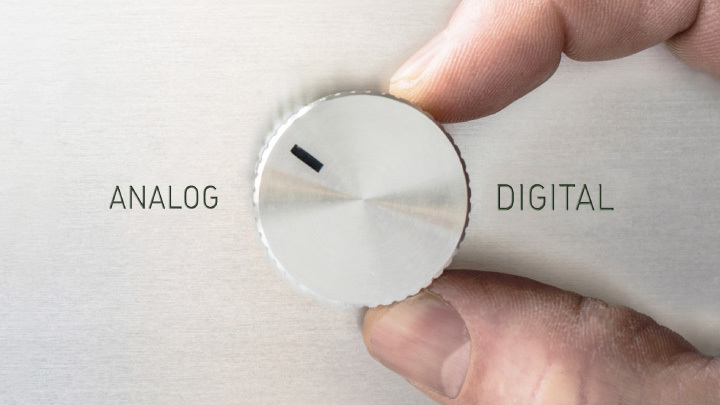 In spring we successfully launched two trendsetting appliances for our Private Cloud solution as well as genuine end-to-end encryption. In October 2015 we succeeded in winning the Österreichische Post AG as a reseller, the result of the high security standards and the openness of our proven Cloud ecosystem. Shortly before the end of the year, we set a milestone with the five star certification of the EuroCloud Star Audit. The Fabasoft Cloud is the first Cloud service worldwide that is awarded this unique quality certification for its standards throughout the entire value-added chain. The five star certification is an acknowledgement as well as a mandate to continue our efforts in positioning our sophisticated Cloud ecosystem as a role model for a Cloud industry “Made in Europe”. Despite major crises such as the threat of Grexit, the refugee crisis and the permanent threat of terror attacks, the European Union has made good progress in the pragmatic implementation of the gigantic project “Digital Single Market” in the year 2015. In March the European Commission went ahead with the 315 billion Euro Juncker plan to enter into a strategic investment offensive. This was followed in May by the presentation of a set of measures for the swift establishment of the “Digital Single Market” (DSM). With the three pillars Access, Environment as well as Economy and Society, the measures address virtually all political areas. Just before Christmas the European Union successfully concluded two legislative procedures of great international importance in trialogue negotiations. Up until the beginning of the year 2018, the groundbreaking General Data Protection Regulation will (hopefully) be implemented in all member states of the European Union to ensure a uniform level of data protection across the continent. The harmonisation of jurisdiction on network and information security is a further milestone strengthening the economy’s confidence in forward-thinking IT services such as Cloud computing, big data, internet of things or industry 4.0. In 2015, considerable progress was equally achieved in the mutual recognition of national eIDs across Europe. Nevertheless, we cannot rest on our laurels but have to strive forward tirelessly. We must immediately look forward into the future to continue with what we have already achieved or to finally achieve it. Without going into detail on my wishes for European politics, let me write a few words on what needs to be implemented politically. The high-quality standards on certification as developed for Cloud computing in Europe are more than just a solid basis for the quick standardisation of the European Cloud “cosmos”, allowing the industry to achieve the same global triumphs as did European mobile communication before. Standardised contractual conditions for European Cloud services as well as a stronger Cloud federation in Europe are further objectives for a boost in the Cloud market. Looking at the roadmap of the Union’s legislative initiatives for the realisation of the Digital Single Market I am optimistic that 2016 will be a good year for Europe. Communication on a modern, European framework contract on copyright was already launched in December 2015. In my opinion, the initiatives most relevant to our business in 2016 concern the expansion of data economy. The “European free flow of data initiative” aims at overcoming unnecessary restrictions on where data is stored as well as on the processing of non-personal data. The initiative deliberately focuses on current requirements with regard to data ownership, interoperability, usability and data access in any conceivable constellation (B2B, B2C, machine-generated data, M2M data exchange). The European Commission also wants to launch a European Cloud initiative, which focuses on the right topics: Certification of Cloud services, standardised contract design, possibility of switching Cloud providers as well as an open science Cloud in which to collectively work on new technological Cloud standards. Cloud computing is an important driving force of the Digital Single Market. But unless the fragmentation of the European telecommunications market can be overcome, DSM will only be made up of bits and pieces. A first important step in this direction will be the elimination of roaming fees for mobile communications until mid 2017. In Union-wide consultations, a cautious revision regarding the removal of online trade restrictions, for example the reduction of the negative effects of geo blocking, is being discussed. My position goes along the line Digital Europe is taking, according to which there should be no obligation for cross-border online sales, but an interpretation along Article 8 of the Service Directive: the member states have to ensure general conditions for non-discriminatory access to services. With regard to the revision on copyright, I would like to see the implementation of cross-border portability of acquired content. The future of net technology belongs to high-speed broadband with almost unlimited transmission capacities such as Fibre-to-the-Curb/Home/Device and 5G. The pressure to be mobile together with the rising number of end devices connected to the internet have brought the development towards 5G to full speed. 5G is rightfully associated with high expectations on the enormous industrial potential in eHealth, transportation (autonomous cars), entertainment and intelligent robots as well as augmented reality and tactile internet. In its preparatory research on 5G technology, Europe tries to get back to its position as a global leader as was the case with GSM, and play a leading role in standardisation by 2019. Last year, Europe concluded contracts with the 5G development epicentres in South Korea, Japan and China and their leaders in mobile communications innovation such as Samsung, NTT, DoCoMo or the largest mobile network operator worldwide, China Mobile. The aim of these contracts is the development and testing of 5G scenarios to allow for the operative start of 5G in the year 2020 at full speed. 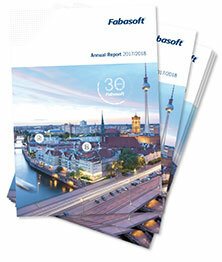 Fabasoft will pursue its course with resolution and purpose on all levels in the new year. My common denominator for all of our efforts in technology and values within the framework of our highly developed Cloud ecosystem is the following: Fabasoft stands for the continuous innovation of its Cloud product portfolio in close cooperation with science to always maintain the security of our solutions at the cutting edge of technology, widen its area of use and focus on the challenges of a modern, IT-based society in all areas relevant to the future. This includes big data management, internet of things applications and industry 4.0 applications which will in the future be used to manage and control eHealth, environmental monitoring, new traffic concepts such as Car2Infrastructure solutions or smart city realisations. In a few years time, this will all be part of the Cloud. We have to be ready for it. 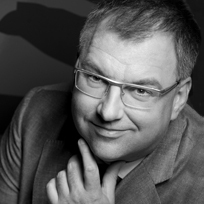 It is therefore important for a Cloud philosophy invoking the attribute “European” to substantiate its uniqueness in the global market with sound ethics based on the values of universal human rights. We will continue to campaign in this direction in the year 2016.